National - There is always more to a story than the obvious. Given that over the last four decades we have condoned “takeover” of every major food commodity except rice to be controlled beyond the farm gate by foreign interests we should consider some of the issues. Evidence of this fact is that we have no Australian owned major food company that represents our interests off shore. Our once great grain trade is now represented off shore as undifferentiated product mixed with other countries. The countries controlling these trades naturally give priority to their own farmers and national interests. We are signing FTAs with countries that bought these companies and are not reciprocating the opportunities for access to their markets as evidence already by the USA (2005), Korean and Japanese FTAs. Andrew Forrest is an espoused Australian, however we might remind him that food is not mining. It is more than “dig and ship” and importing back here a thousand fold value-added as manufactured goods. More than 80% of our mining is foreign owned, hence our national income and supply are not guaranteed. As a nation we have not secured supplies of non-renewable resources in the national interest. The implications of this thinking can be readily replicated in agriculture if we do not control the assets. Other countries set the rules to look after their own, but in our “naivety” we continue to espouse a free and open economy at our long term expense. Agriculture requires skills and knowledge of our land developed over generations. The same people who have pioneered and nurtured our regional communities and, whether we acknowledge it or not, form the essence of Australians “love of land”. Our farmers have effectively built our national reputation as a clean green growing environment of which we are justly proud, but no longer gain real benefit. Certainly there will be many farmers prospering, but they are being inhibited long term. How can Australia benefit from our reputation and manage this if we do not own and control it? Global companies and countries that are the companies will determine what, when and how much will be sent off shore and what we are paid. Governments continue to make decisions based on the assumption we export most of our food. We have not counted the decline in on farm income and rising debt since 1998. Imagine if a business did not know what its real trading position was and the implications of the decisions it makes for the long term? Food security is an issue of national importance. Our own people are not heard or considered. By all means allow investment where they risk their capital and are not buying assets which are of national strategic importance. As a nation we plan between elections. A business that fails to plan, plans to fail. A nation that fails to plan, plans to fail. Wilmar Singapore cited by Mr Forrest already holds significant agriculture assets here and is a transfer pricing port for them to sell to themselves then send to the world. Australia was built by people who had energy and hope in our future. We need to ensure we retain 51% controlling interest in our assets so our government retains transparency in transactions and where the profits really go. We need to get our people and our assets working for Australia again, not be locked out of the discussion. We welcome Andrew Forrest’s foray into this discussion. We just hope he is listening to farmers who earn their living off the land who are rewarded by their knowledge, efforts and decisions they make here. A country requires secure food, water, energy and transport. How many boxes can Australia really tick on each of these as our legacy to the next generations. There is always more to a story than the obvious. Given that over the last four decades we have condoned “takeover” of every major food commodity except rice to be controlled beyond the farm gate by foreign interests we should consider some of the issues. 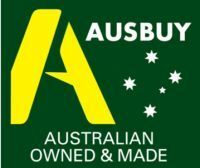 Since 1991 AUSBUY has represented Australian owned businesses exclusively across many industry sectors. It represents $Bs and thousands of jobs throughout Australia. There are a number of public companies but the majority are Australian owned family businesses. Lynne Wilkinson CEO AUBSUY 0418 314 923.